My experiences with US airlines, in general, have been mixed. I can’t bear those internal flights in the super tiny planes where everyone appears to have brought the maximum hand luggage allowed on board. I have tended to avoid US airlines when it has come to Business and Premium due to my low expectations. 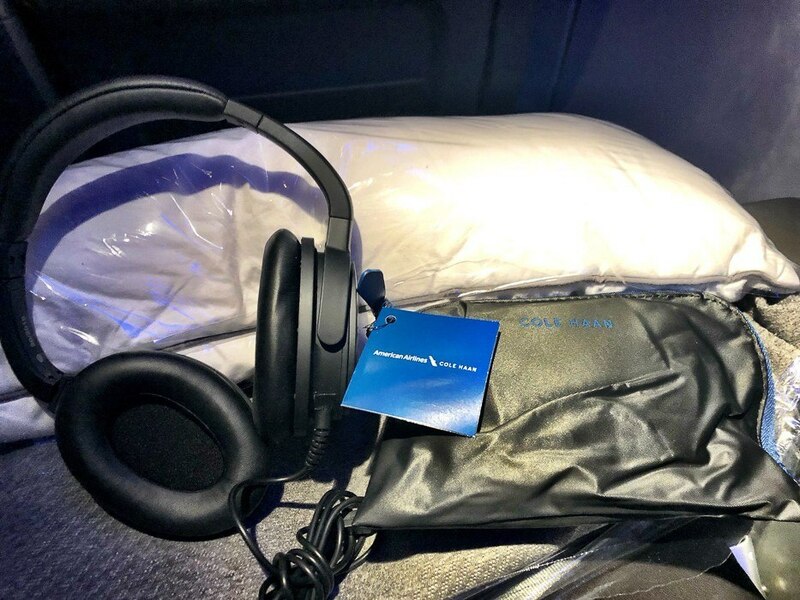 My last premium economy experience in British Airways had not really been all that premium but I had had an excellent experience with Virgin Atlantic Premium Economy so I was curious to see what was ahead! 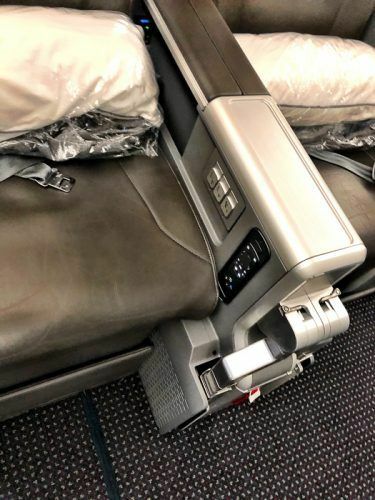 US airlines have recently been doing some major investment in premium economy and both Delta and United have relatively new premium economy offers which I plan to try out! 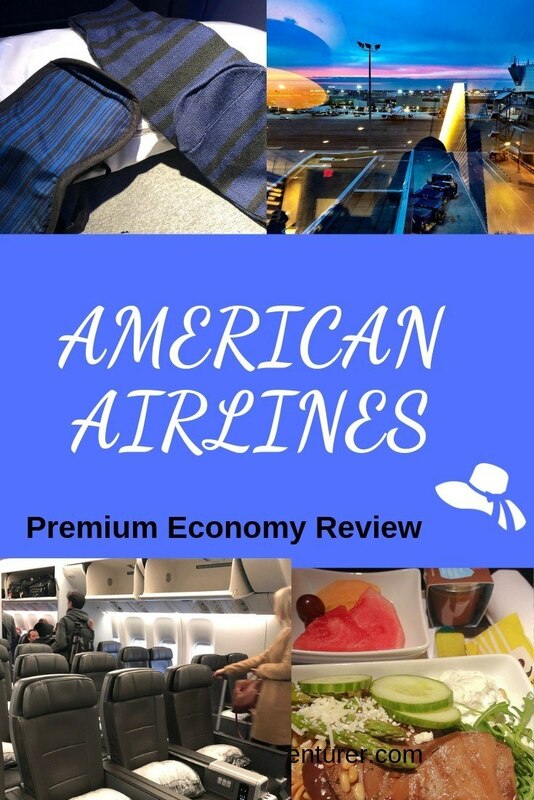 American Airlines was the first and launched premium economy in May 2017. This means you are guaranteed quite new cabins and seats when travelling with any of the three which tends to provide a better experience. 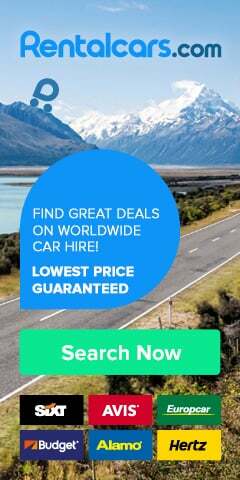 I always start my search for flights with Skyscanner and then move on to Expedia. This usually gives me a good idea of the best options. I then like to head onto the airline’s dedicated site to check out the options around checking in bags, upgrades etc etc. 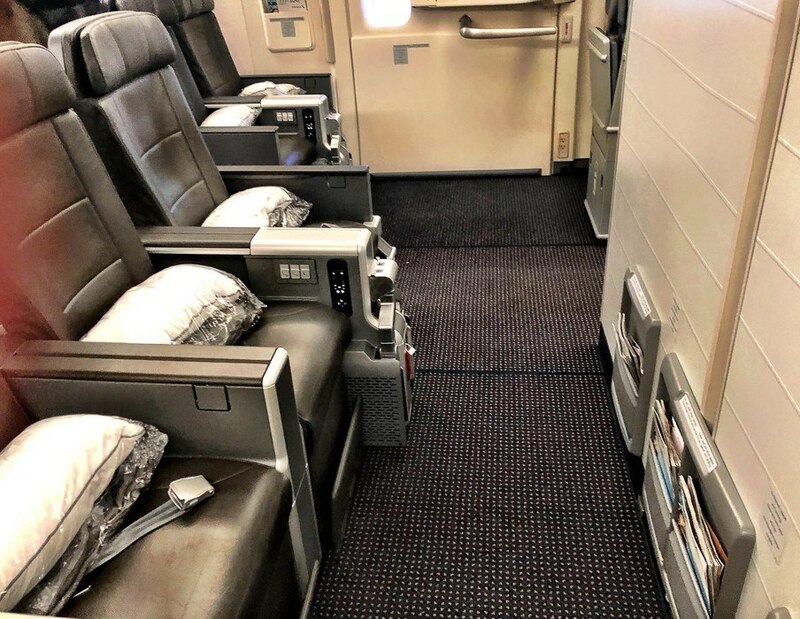 American Airlines has a new offer called Main Cabin Extra. This is an economy ticket that is upgraded when you get to pay to include extra legroom, complimentary drinks, preferred boarding and free drinks. This is between economy and premium economy so may be worth considering. 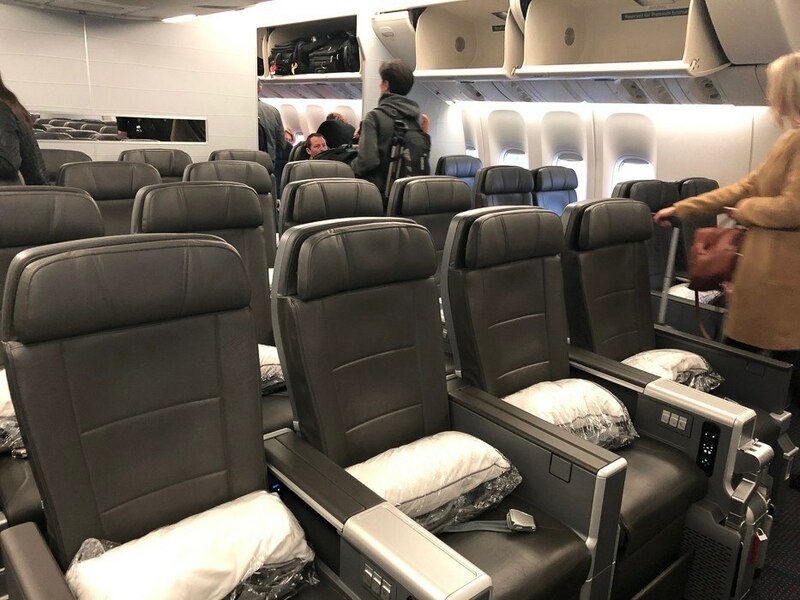 Premium Economy is on offer for international, Hawaii and Alaska flights. The differences relative to the Main Cabin Extra are that there is a separate area within the cabin, larger seats and leg room and priority check-in and security as well as boarding. I’ll cover the inflight experience in more detail later in the review. A massive bonus of flying with American Airlines was that I was able to pre-book an exit row window seat at no extra cost! I couldn’t believe this was available – and at no charge! Best of all I was able to book it on the overnight leg. I thought the prices for American Airlines Premium Economy were excellent value. My return flight including taxes was around GBP 770. 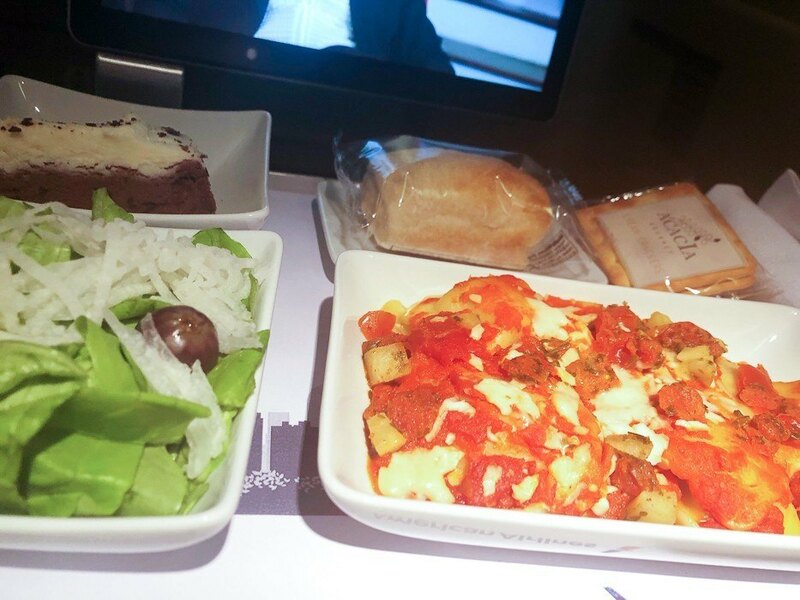 Check out my Iberia Business Class Review here. American Airlines operates out of Terminal 3 at Heathrow. It is easy to find – not far from Virgin – and premium economy has a preferred check in area. Premium Economy also gives access to fast track security – not necessarily the case with Virgin Atlantic and British Airways. A premium economy ticket does not provide access to the lounge. However, Oneworld Sapphire and Emerald have access to several lounges at Heathrow. 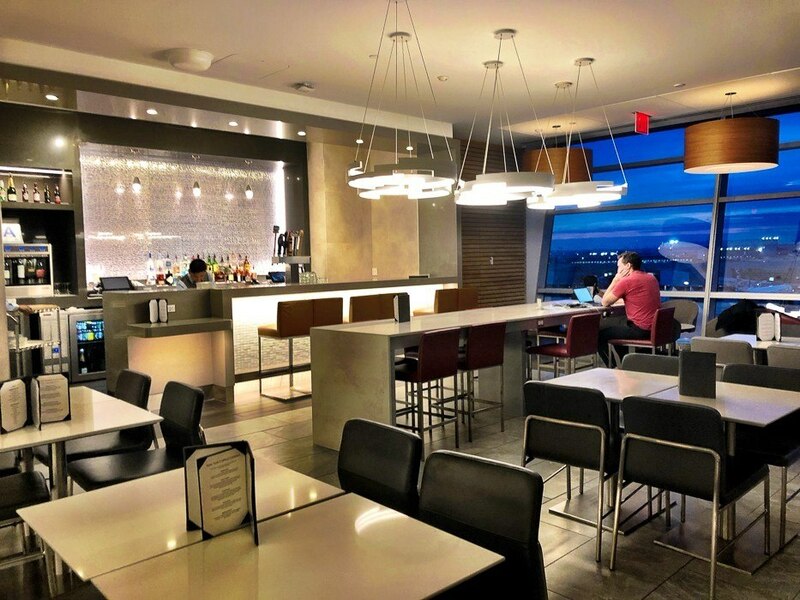 One of my key reasons for choosing to fly with American Airlines was that I am a British Airways Silver status – giving me access to all One World partner lounges. 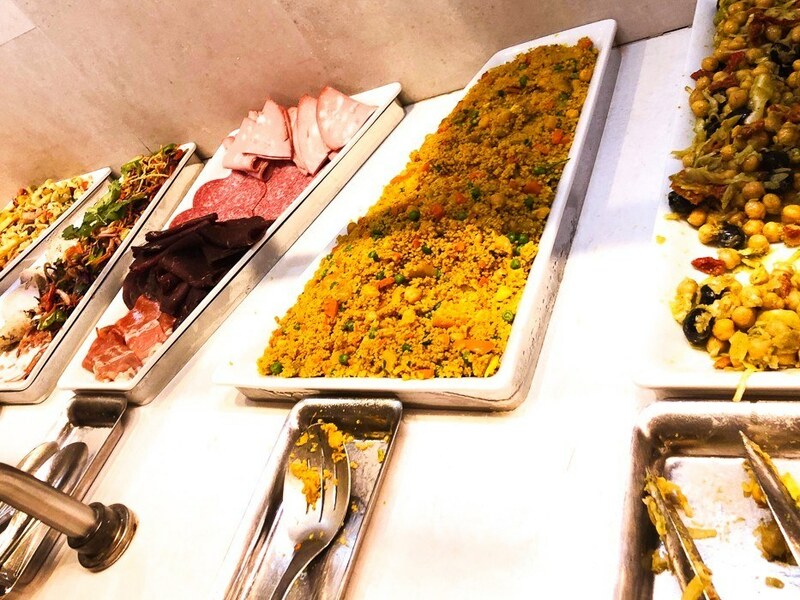 I visited the American Airlines Lounge which is area H – the Admiral’s Lounge! It was a great lounge! Very large comfortable chairs and wonderfully they all had power and USB sockets! The lounge feels quite new and there was a lot of space. The only downside was there was no real champagne. Deep sigh! There were bubbles – Prosecco and Spumante – but they are never quite the same! On the return flight, I received all the same benefits at JFK – priority check-in and fast track through security. The flagship lounge 12 is lovely! Very modern! It even has a terrace although it is inside. There was a hot buffet and an a la carte menu! There were several options available like a Waldorf Salad. 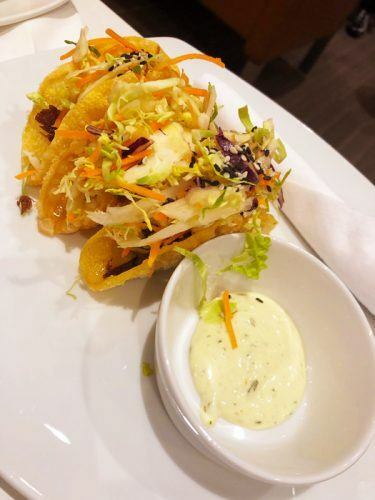 I chose the Korean tacos and they were excellent. This was terrific as I could then eat prior to the overnight flight and focus on getting to sleep as quickly as possible! The seat configuration is 2 x 4 x 2. Premium Economy is a small area of just four rows which felt nice. The whole thing looked and felt very new. The seats themselves are 19 inches wide – 2 more than economy so a substantial difference. The seat pitch is 38 inches – quite a bit more than the standard economy pitch of 31-32 inches (Main Cabin extra offers 36 inches). I am only 5 foot 6 inches so I found it a more than adequate recline. A highlight for me was the very flexible headrest which was great for resting. Also, the footrest has two separate pieces – almost like pedals – and was very comfortable. On the return flight, I was in the exit row so no pedals but lots of leg room! 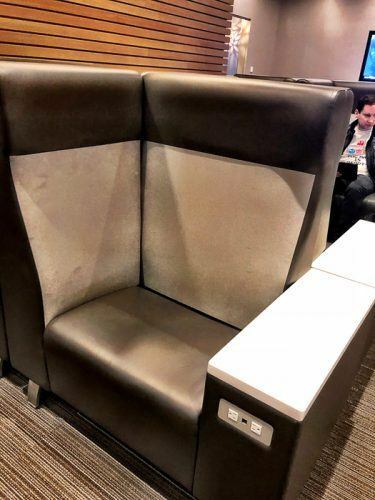 It took me a while to find the power socket. 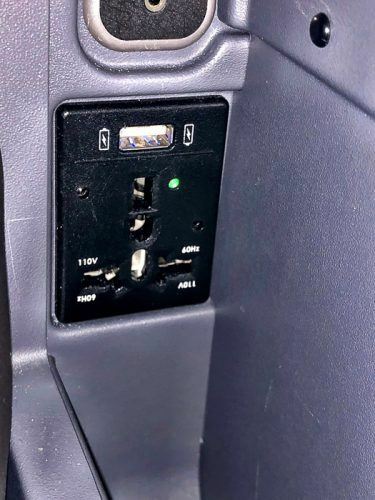 It is sort of hidden away under the armrest – accompanied by the USB port. Once you are seated it takes a bit of yoga to get everything hooked up! 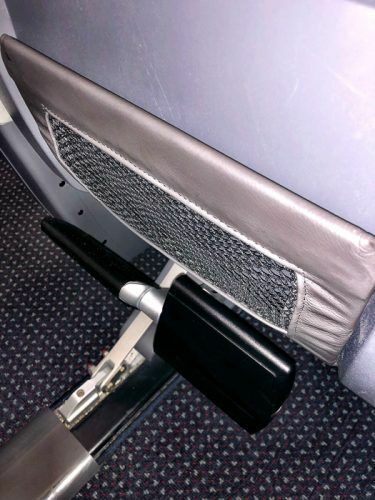 The best option is to gently lift up the armrest for easy access. This little hidden area also has space for water. I travelled on a Sunday afternoon out of Heathrow. It was a long weekend in the US. The flight was virtually empty!!! A good tip is to do something similar if there is a long weekend in the US when you are planning on travelling. The main meal is served about one hour from departure and then a lighter almost there offer a similar time before arrival. The main meal was a salad with a hot meal choice of prawns with wild rice or cauliflower mac and cheese. Dessert was vanilla black currant cheesecake. The pre-arrival was a Mediterranean salad followed by a chocolate and salted caramel pudding. I chose the prawns and they were actually very nice! There was only one white and one red wine to choose from – a Spanish Macabeo (a pretty standard dry white) or a French Merlot. There was a short but adequate range of spirits and beers/ciders plus quite a few soft drinks. Chocolate ice creams were brought out mid-flight on the leg between London and New York which was a nice touch! The entertainment system was fantastic!!! Possibly the best I have seen. There was an extensive choice of new movies – there was one that I had seen the weekend prior at the cinema in London! Even better was the range of tv programmes on offer. American Airlines have shows from Amazon Prime and Netflix which I have not seen on an airline before eg The Marvellous Mrs Maisel. They also seem to have a relationship with Universal/NBC and had episodes of new American tv programmes which had not been shown in the UK. I was thrilled! It is possible to use your phone or laptop or tablet and get an entertainment app. However, the screen is a great size (10.5 iches) and very good quality so I don’t think you need to use up battery life etc. The headphones were excellent quality and closer to business class style than economy. 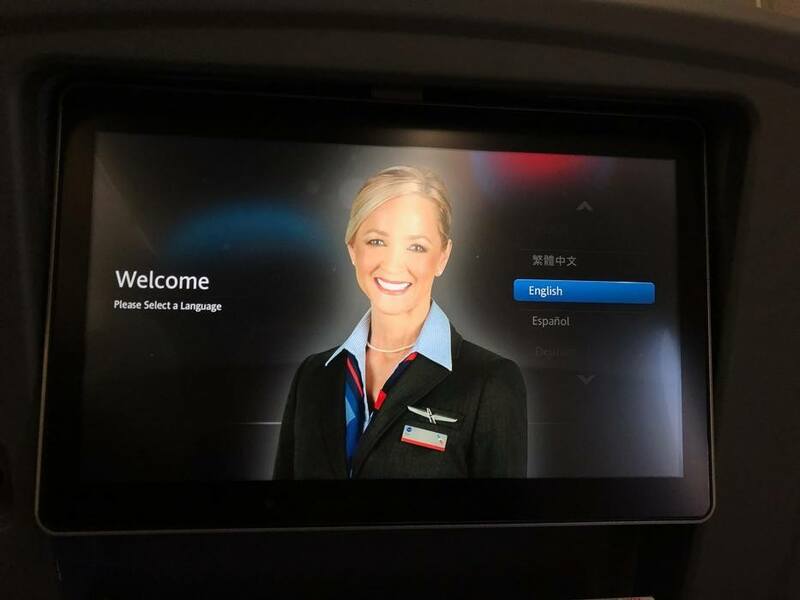 There is wifi available on board but of course, it must be paid for – unless you’re happy to explore every section of the American Airlines website! The blanket and pillow were fairly standard and closer to economy than business class in the thread count department. 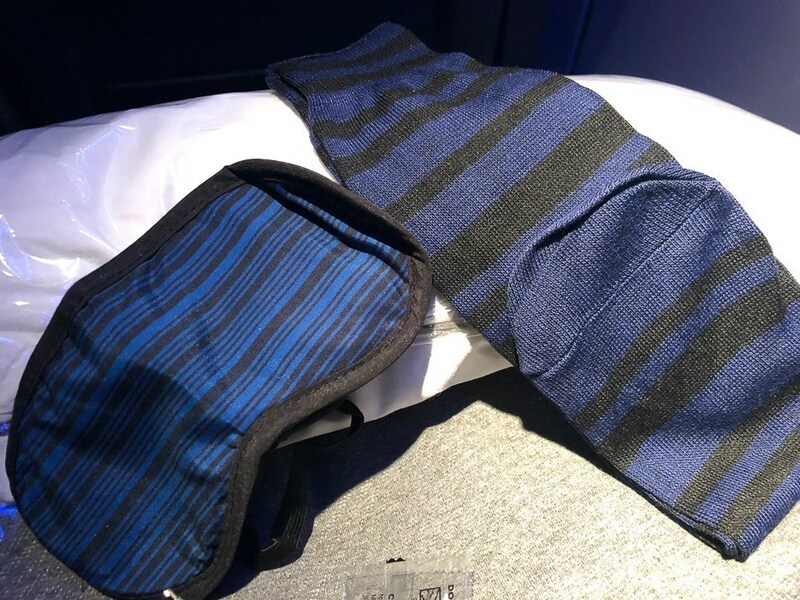 However, I did like the blue and black striped socks and matching eyemask! 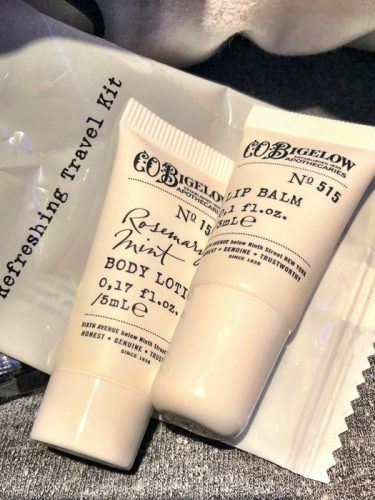 The little toiletries bag was quite a cute Cole Hahn and the toiletries inside were Co Bigelow. I hadn’t heard of this brand but I liked that they had aromatherapy based rosemary and mint smell. The service was absolutely fine but nothing really stood out. 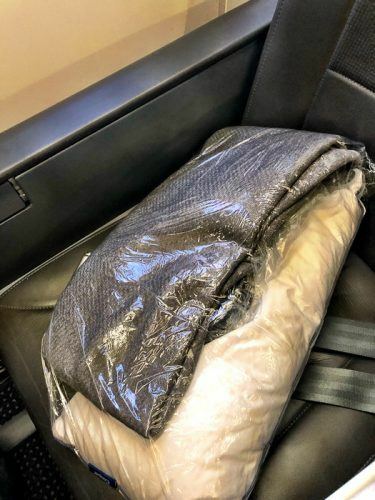 As you would expect on a premium economy flight – polite and efficient yet not at the level of business class of course. It’s 5 stars from me! I can’t find a single negative thing to say about my American Airlines Premium Economy 777 experience! The ticket was well priced. I received priority check-in, security and boarding. The seats felt new and there was excellent legroom. I was particularly delighted by being able to get an exit row seat at no cost on the return leg. The food was very good, the amenities good and the entertainment system excellent. 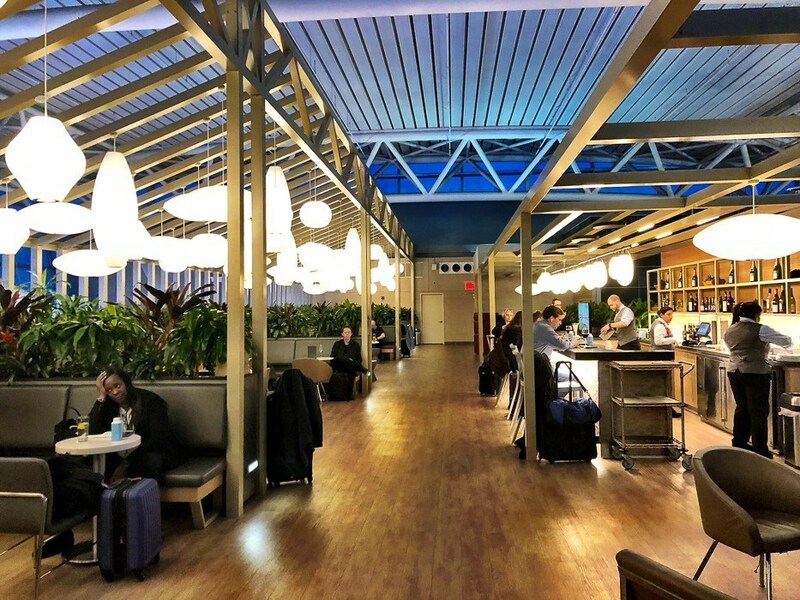 In combination with my One World Sapphire and being able to use the lounges, I would struggle to justify paying much more to fly business class. Business class seats are only 1.5 inches wider than premium economy so the only real difference is the flatbed. 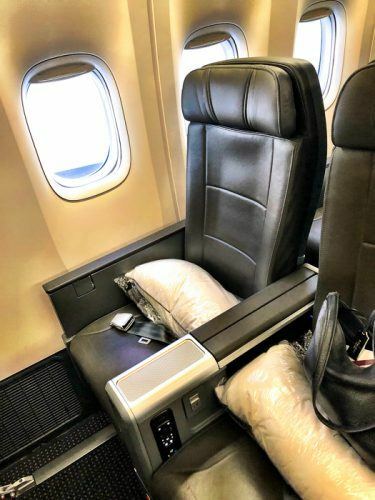 American Airlines Premium Economy is definitely worth it at about double the price of an economy seat over the 15 odd hours in the air of a London-New York return flight. 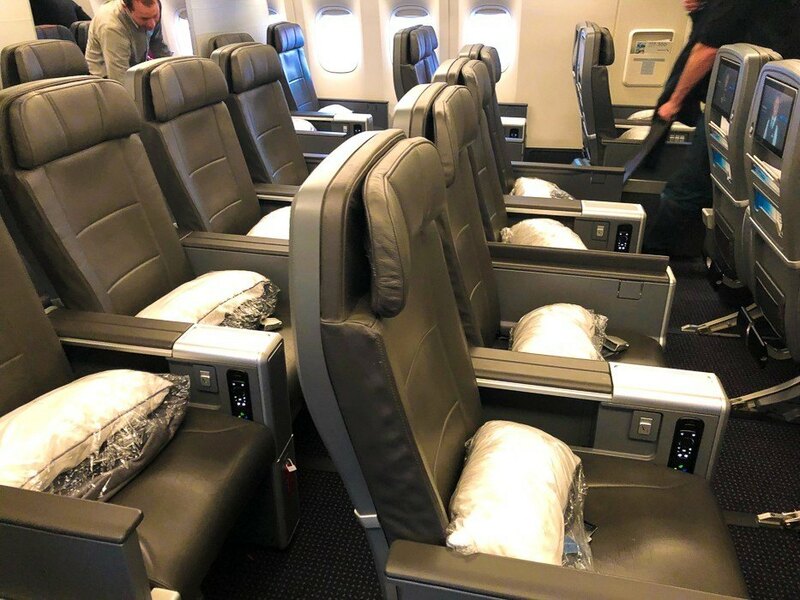 How does American Airlines Premium Economy compare with British Airways Premium Economy? American Airlines is much much better! It beat British Airways on every single element – from the priority options to the seat size to the in-flight system to the food. British Airways would have to be substantially cheaper for me to consider flying with them premium economy over American Airlines. 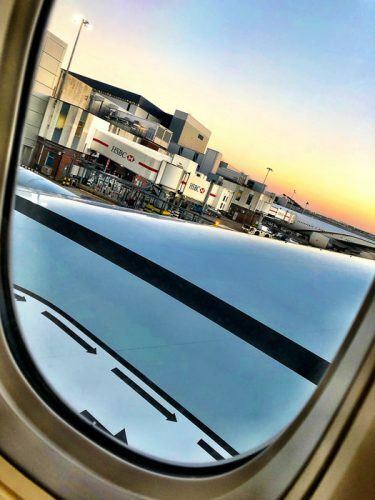 In my experience, the premium economy airfares of both airlines tend to be roughly similar. 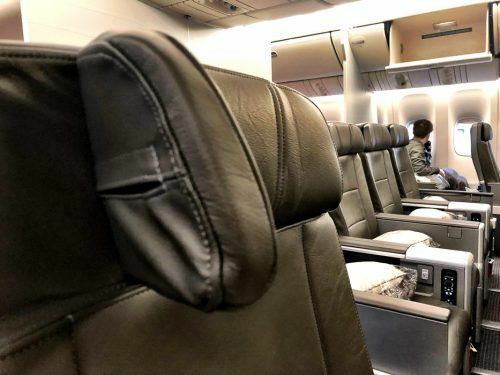 How does American Airlines Premium Economy compare with Virgin Atlantic Premium Economy? I found Virgin Atlantic and American Airlines quite similar in terms of the overall experience and the in-flight elements. There are two key differences. Firstly, I tend to find that Virgin Atlantic premium economy is usually a good deal more expensive LHR-NYC than American Airlines. 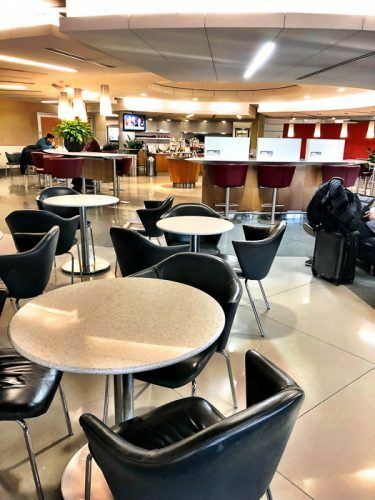 Secondly, if you have the One World Sapphire membership then American Airlines means you get the lounge – Virgin no lounge. 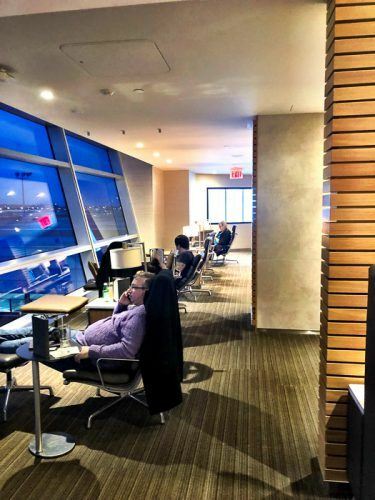 If the prices are similar I would make the choice based on whether or not you are a member of the different frequent flyer clubs with lounge access. 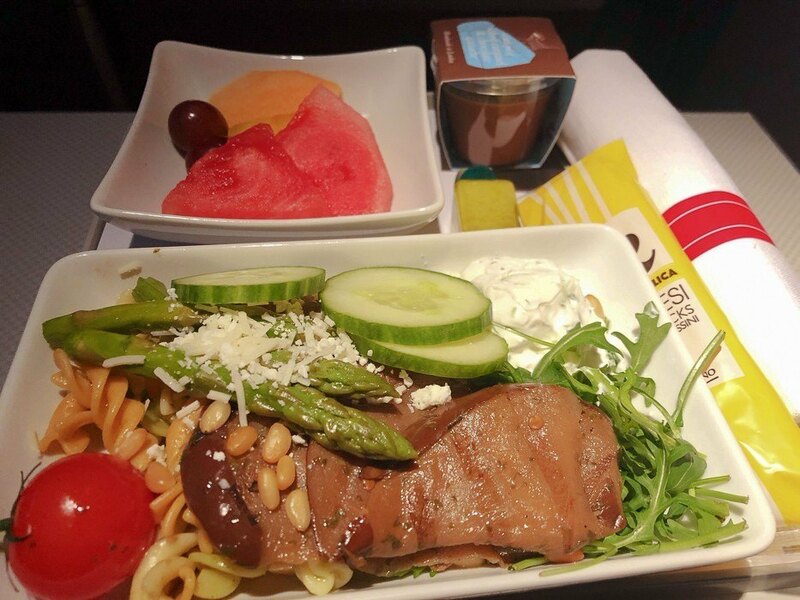 Virgin always feels more fun than any other airline and I think has better and more authentic service – plus normally Virgin Atlantic has some better touches like their great in-flight snacks range. If the prices were the same and the club membership made no difference I would choose to fly with Virgin Atlantic over American Airlines. 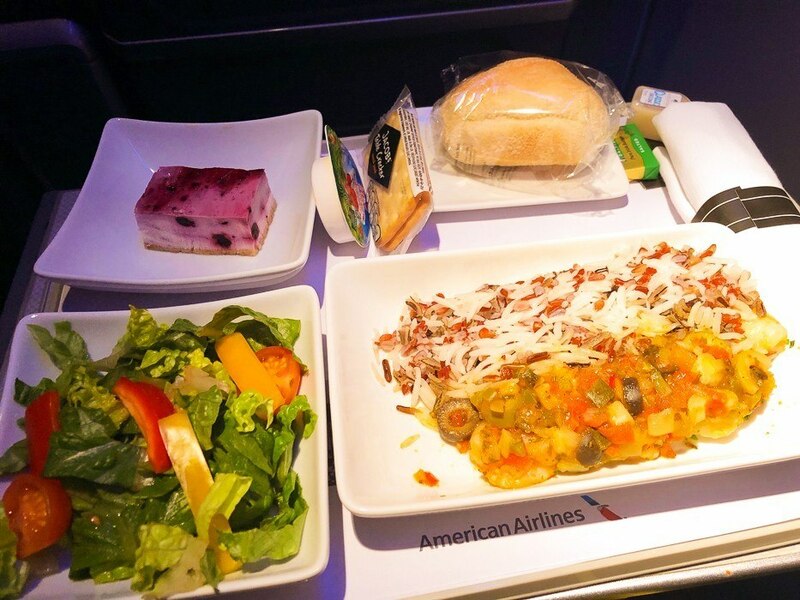 Have you flown with American Airlines Premium Economy? I would love to hear about your experience! This post contains some affiliate links. If you click through and make a purchase I will receive a small commission. Just wanted to make sure you knew.